With low inventory and rising interest rates, you may be thinking, "Have I missed the boat?" Rest assured, it is still a great time to purchase real estate, and it's important to evaluate where you are with your life and finances. Here are some things to keep in mind when considering buying a home. If you're thinking you missed out because you didn't buy a home in the down market, don't despair. If you didn't buy, it was for a reason. You most likely weren't quite ready to buy a home. You should only buy a home when you know you can afford it and are ready for the responsibilities that come with homeownership. Despite amazing technological advances where everything is at your fingertips within a moment's notice, purchasing real estate can take some time. Patience is required. 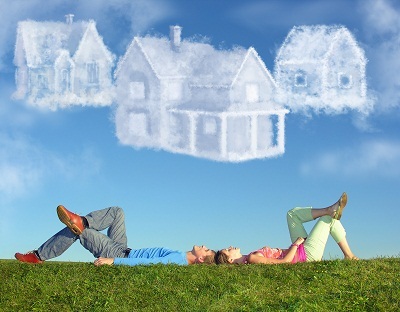 Purchasing a home is a complex and infrequently conducted transaction. We do everything possible to prevent hiccups and bumps in the road - our job is to help the process go as smoothly as possible! The current market is very competitive and homes in the best location and condition go very fast. When you meet with us for a buyer consultation, we'll help you be prepared and have all your ducks in a row. After you're pre-approved, consider your max purchase price and reflect on your budget. You know the lifestyle you want to live, and know your finances better than anyone. When you're out looking at homes, you'll know when the home is right. We take the time up front to know exactly what you're are looking for. Because of this, it's very common for us to only show a few homes before a buyer puts in an offer. Buy the right home for your lifestyle and your budget - the right home is waiting for you when the time is right!